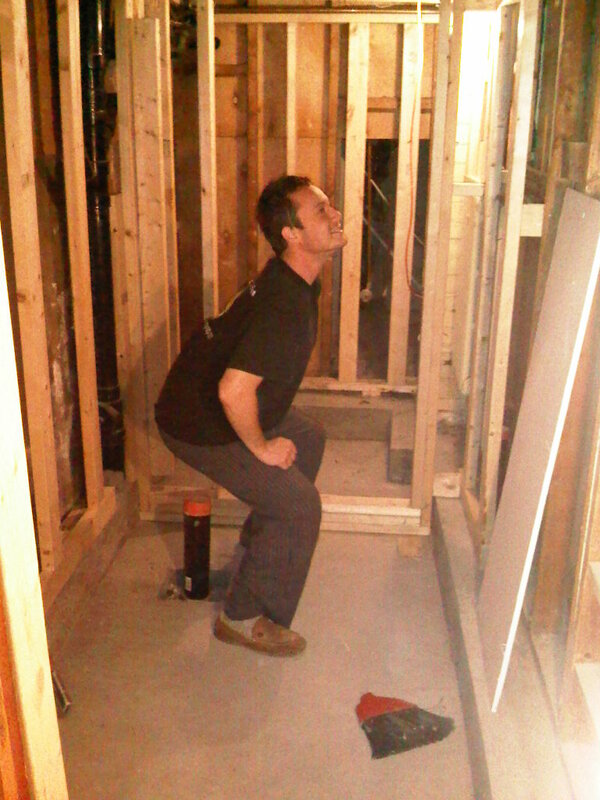 Live, Love, Laugh and RENOVATE! : Framing! 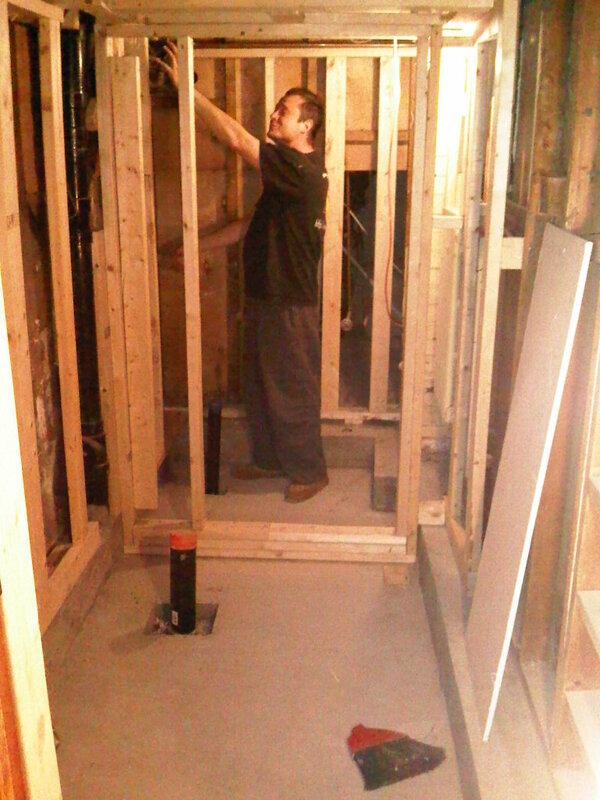 Saturday it was framing day!!! It was time to frame in basement bathroom!!! The boys worked at it all Saturday and are just about finished!! It looks fantastic!!! 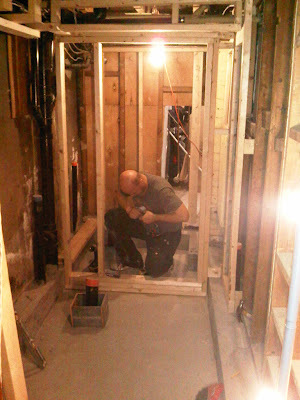 Here is Dave working on the frame of the shower. 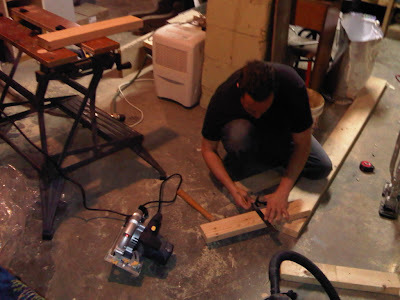 They had a good system going, Dave would measure the piece, Ryan would cut the sizes needed and Dave would attach them. Other than the odd disagreement they flew through this task!!! 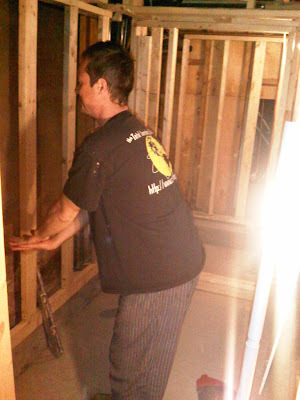 I was working on other projects but came down in time to see that they had made a disaster of the floor in basement! haahaa!! Nothing a good vacuuming can't fix! 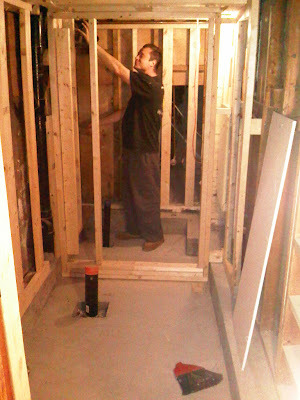 Here is Ryan 'washing' his hands where the sink will go! Yes that is where the toilet will go!! 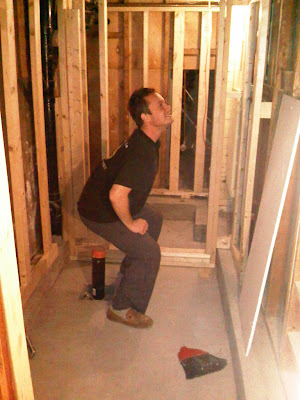 And here Ryan is adjusting the 'shower head'. We left the opening to the shower large enough but not too large, we put a foot of space on the far left side where we will hang the toilet paper holder. We opted to leave a foot of space closed off in the doorway and not more because the tiles we bought are a square foot. Instead of having to make a million cuts being able to use just one tile wide up that portion will help.